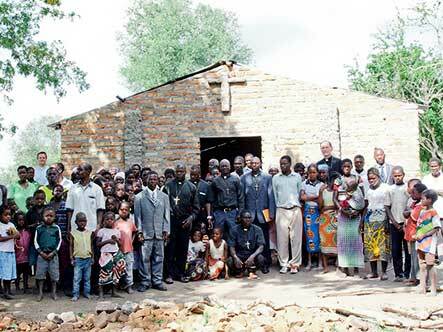 This exciting mission work in Mozambique and Angola is headed by Rev. Carlos Winterle. You may have heard him share some inspiring examples of the marvelous work being done in that area of the country. Nine years ago when the LCMS began a seminary to train pastors, there was not one Lutheran Church there. After seven years of study, the seminary graduated eight pastors. Now eleven congregations have been formed. All are in need of Bibles, construction supplies and funds. We were glad to be able to assist them with their work and are excited to hear more from this quickly growing group of Lutheran brothers and sisters in Christ.